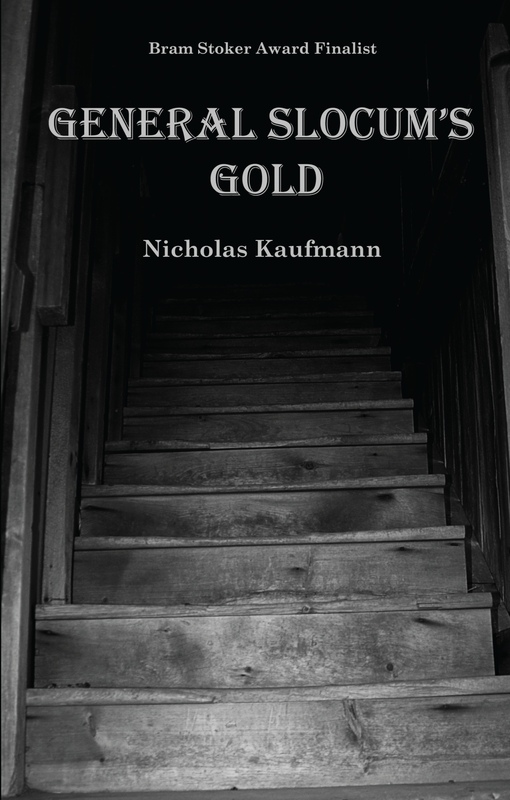 Nicholas Kaufmann - GENERAL SLOCUM’S GOLD Available for the Kindle! GENERAL SLOCUM’S GOLD Available for the Kindle! To quote Professor Farnsworth: Good news, everyone! My Bram Stoker Award-nominated novelette General Slocum’s Gold is finally debuting in an e-book edition! Previously for sale only as an $8 chapbook from Canadian micropublisher Burning Effigy Press, it’s now available for the Kindle at a mere $1.99! Soon it will be available for Nook, Kobo, and iBooks, too. The e-book also contains the bonus story “The Jew of Prague,” one of my earliest horror-noir tales. You can see lots more reviews here.